Princeton University has created the Princeton Prosody Archive, a full-text searchable database of more than 10,000 digitized records on the teaching of poetry between 1750 and 1923. Prosody refers to the rhythm and sound of poetry, and the study of prosody uses prosodic marks, such as accents or breves above syllables in poetic texts, to indicate how the poem is intended to be read. These rules for reading poetry have changed over time, and scholars need to search through historical texts for prosodic marks to study how those rules changed. Some of the documents have been digitized by initiatives such as Google Books and some others are stored in various databases, but typical optical character recognition technology cannot recognize or digitize the prosodic marks that are so important to the study of prosody. 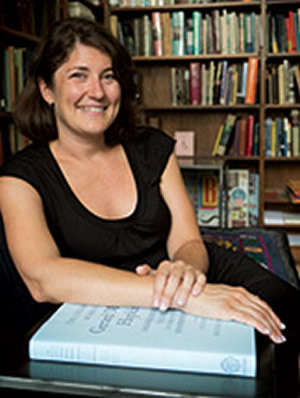 To solve this problem, Meredith Martin, an associate professor of English at Princeton began building the Princeton Prosody Archive in 2011, with the help of computer scientists and librarians. The archive collects these historical documents and makes them searchable for scholars. Princeton also has an agreement with Google Books and the nonprofit book repository HathiTrust to allow access to many of the books. Eventually, the university will add scanned newspapers and journal articles to the archive. Currently, the Prosody Archive is annotating records with prosodic marks manually, but over the next three years the team hopes to develop a computer model for encoding the marks, as well as tools for natural language-processing techniques. To preserve other information, such as handwritten notes on pages, the archive will include scanned images of the pages along with each text. The Prosody Archive is housed at Princeton as part of the Center for Digital Humanities. Its computer architecture was developed by Travis Brown of the University of Maryland Institute for Technology in the Humanities. Support for the archive was provided by the Andrew W. Mellon Foundation. The archive is currently in beta-testing. The university plans to make it accessible to the public by the end of the year, and full access to the archive should be available by 2017. Further information about the Princeton Prosody Archive can be found on Princeton's site.